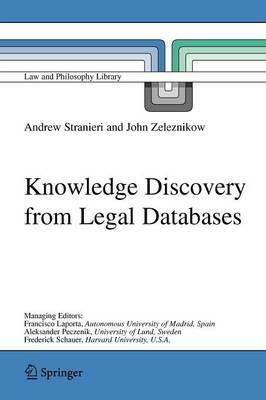 Knowledge Discovery from Legal Databases is the first text to describe data mining techniques as they apply to law. Law students, legal academics and applied information technology specialists are guided thorough all phases of the knowledge discovery from databases process with clear explanations of numerous data mining algorithms including rule induction, neural networks and association rules. Throughout the text, assumptions that make data mining in law quite different to mining other data are made explicit. Issues such as the selection of commonplace cases, the use of discretion as a form of open texture, transformation using argumentation concepts and evaluation and deployment approaches are discussed at length.